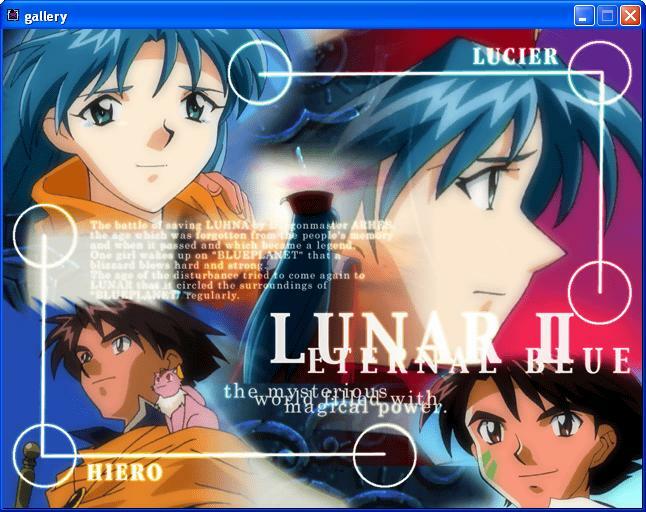 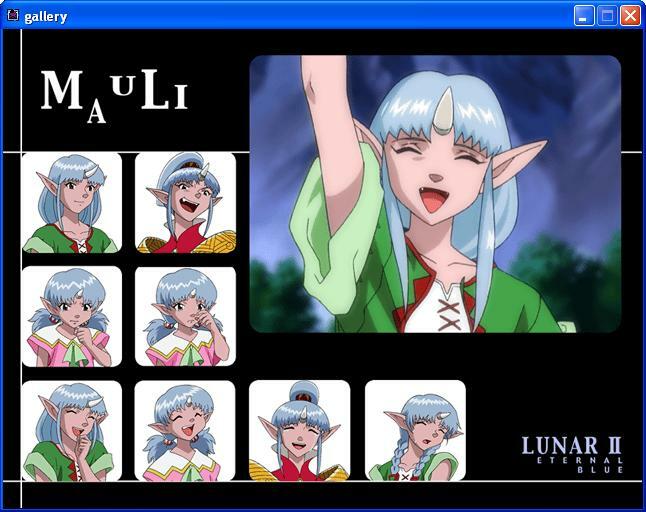 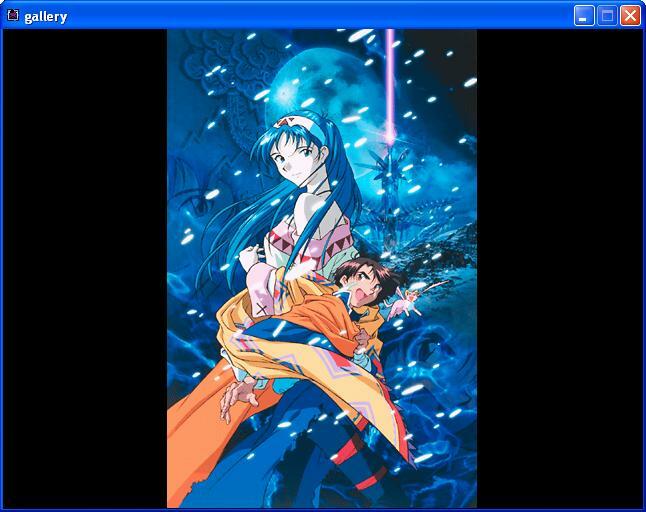 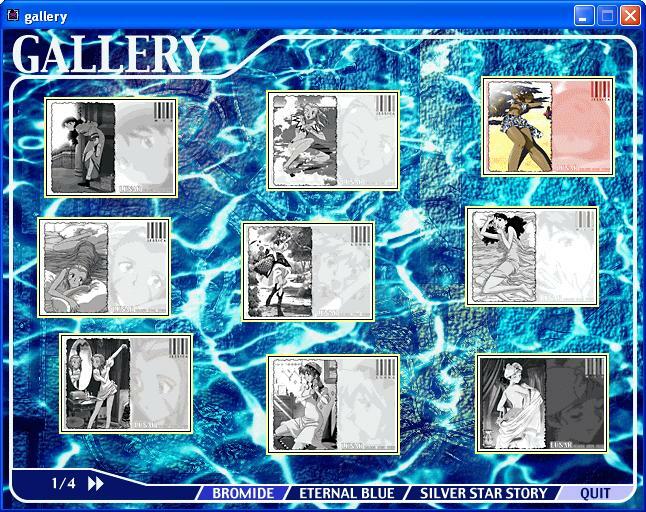 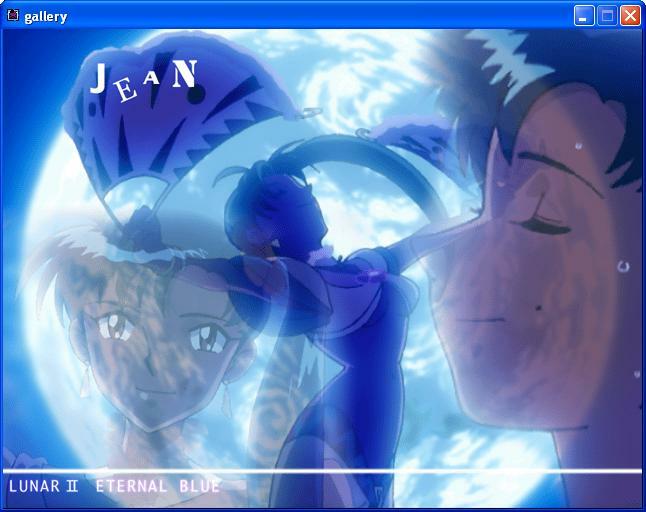 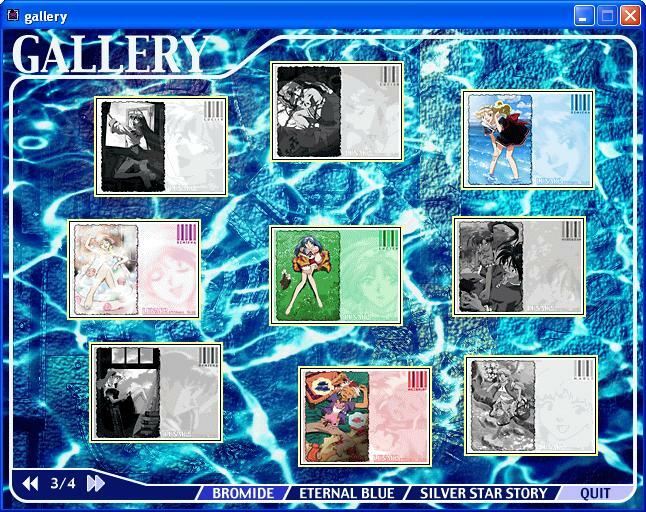 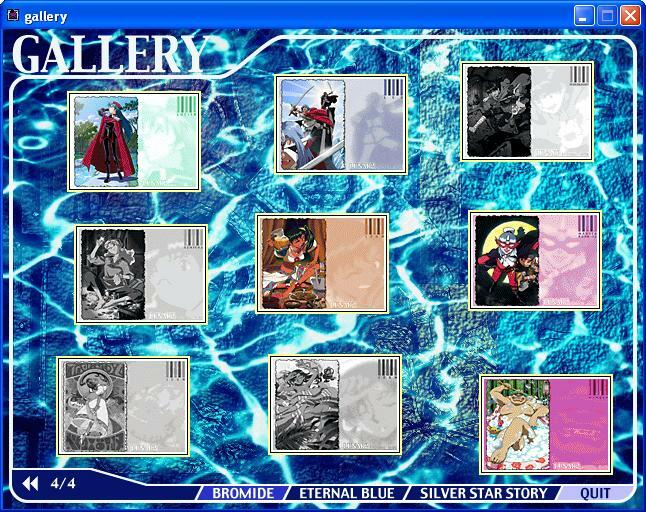 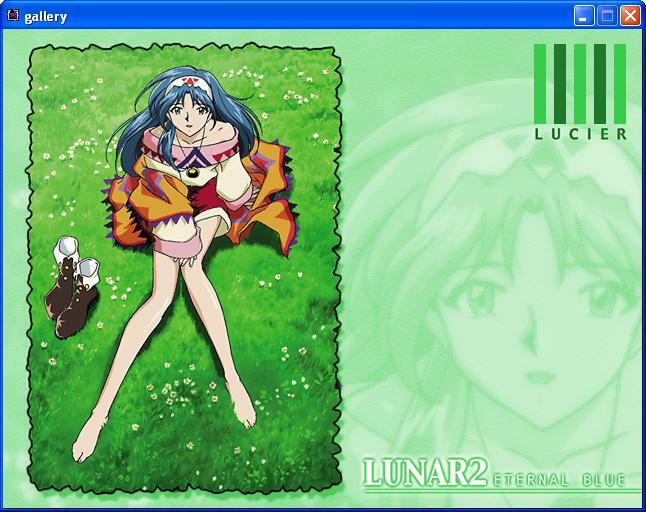 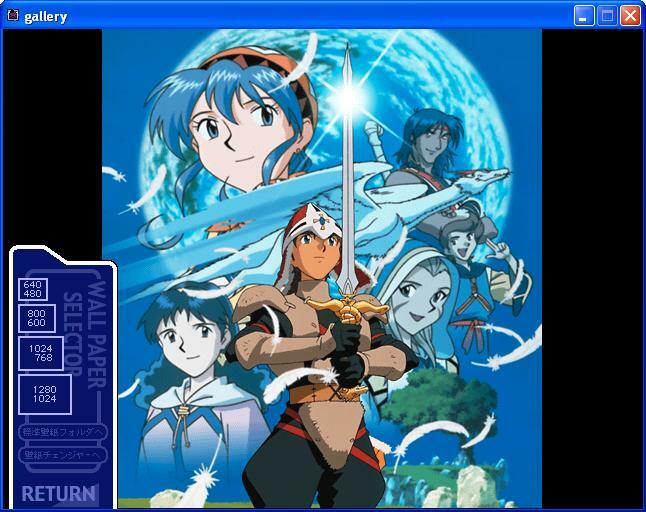 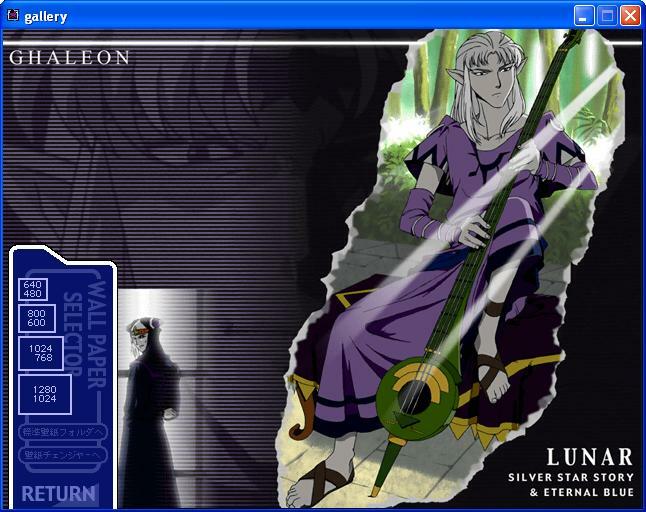 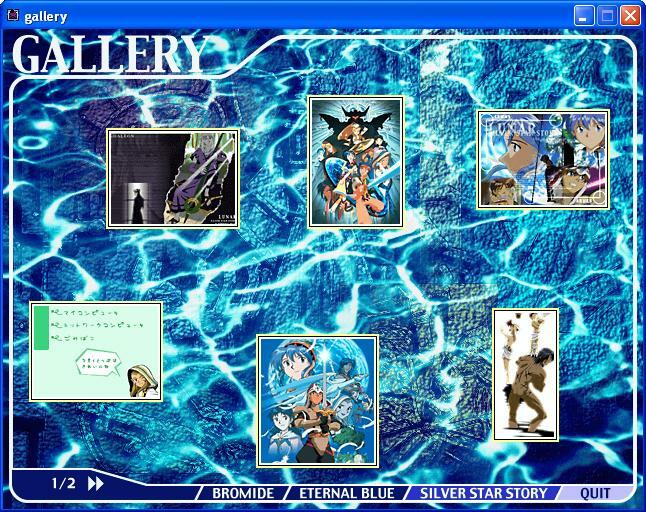 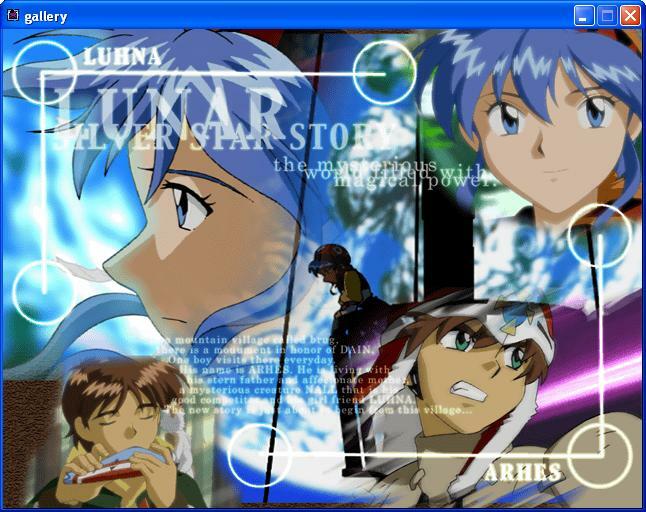 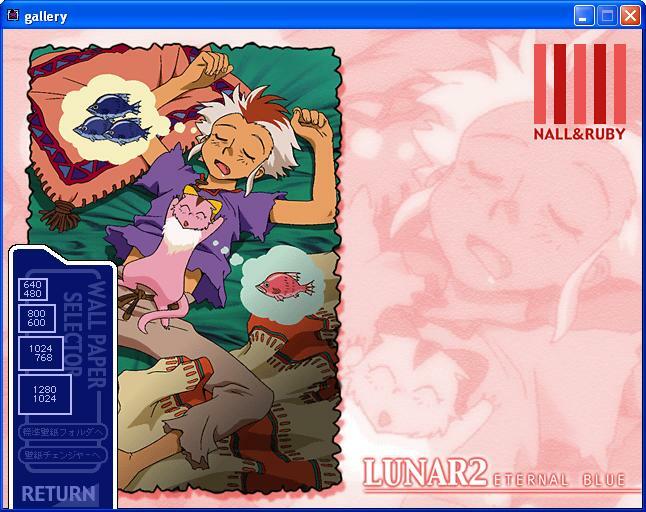 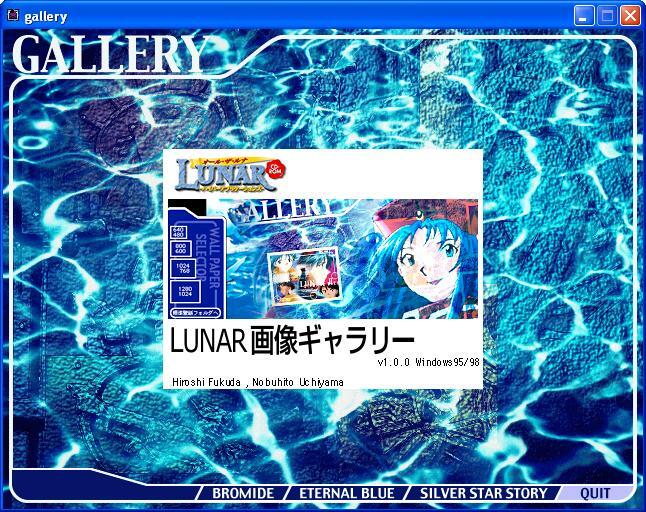 The following screens are from the "Gallery" application from All the Lunar. 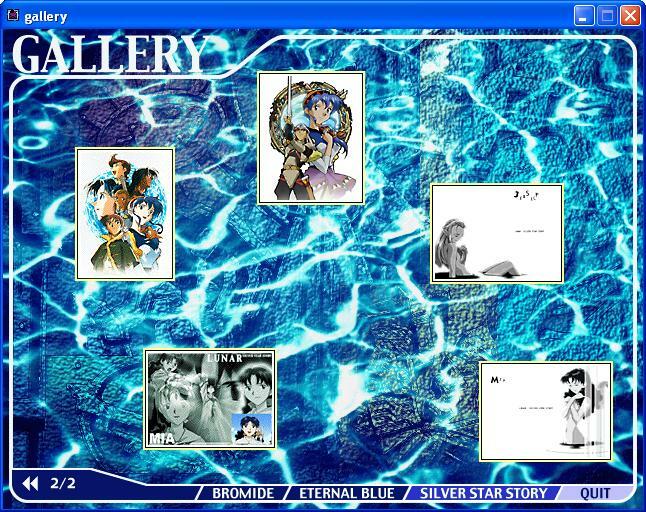 This gallery is where you can view artwork and wallpaper from the software. 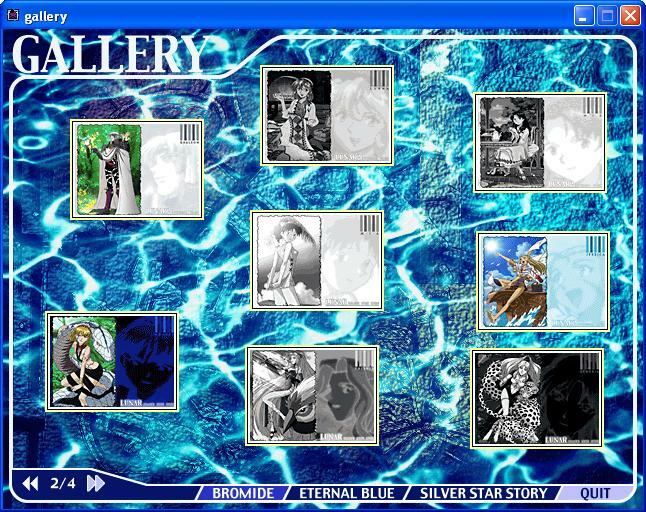 Most of this artwork and wallpaper has to be unlocked using the Diafugo card game. 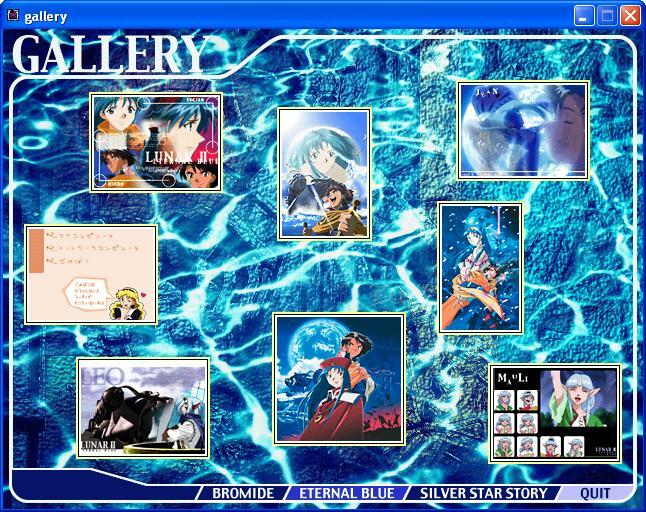 Pages for the wallpaper and artwork have been provided.